Like most of you, I imagine, I get lots of email advertisements. It’s very rare that I ever click on something, and I’ve never purchased anything. But sometimes I have to acknowledge a clever pitch or product. And since I’ve previously publicized special Federal Reserve toilet paper, Ben Bernanke’s hacked Facebook page, and the famous “Ben Bernank” video, you will understand why I think this t-shirt is quite amusing. 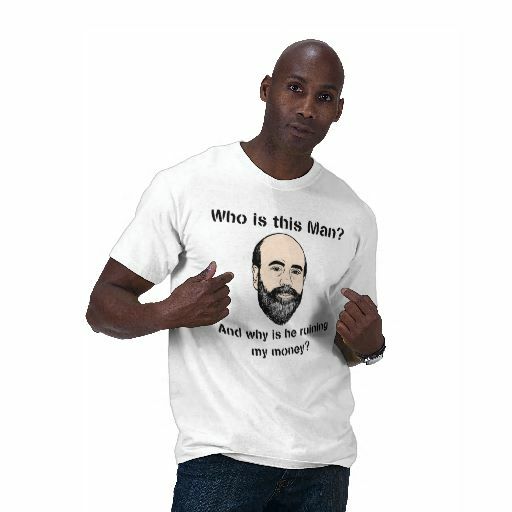 Though I’m not sure that’s a great likeness of Bernanke on the t-shirt. 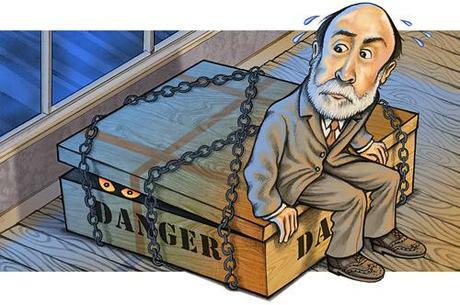 Heck, my Bernanke-who-stole-Christmas image may be more accurate. But I guess that’s not overly important since the real reason for the t-shirt is to express concern about inflationary monetary policy. And that’s something that should worry all of us (it’s already worrying drug dealers). To be momentarily serious, I don’t follow monetary policy closely enough to make definitive statements, but here’s a good summary of why I’m also worried. I further address monetary policy in this post, and express displeasure with Bernanke’s behavior in this post. Last but not least, this video is a good introduction to central banking.